Start the press: Sureprint webshop goes live! Its been a busy year so far here at Sureprint HQ with the introduction of an exciting new product line of automatic micro printers, expansion into new areas and a brand new website! We'll keep you posted on all the latest developments - don't forget to sign up for our newsletter here. A new range of inline semi automatic printers have been developed by Sureprint to provide customers with the ability to produce a large format print on tee towels and other large substrates as an alternative to buying an automatic carousel. Carousels by their nature take up a large floorspace and require two operators to load and unload printed product. The new Imprint inline system has been developed by Sureprint to minimise the use of floorspace occupied by each machine. 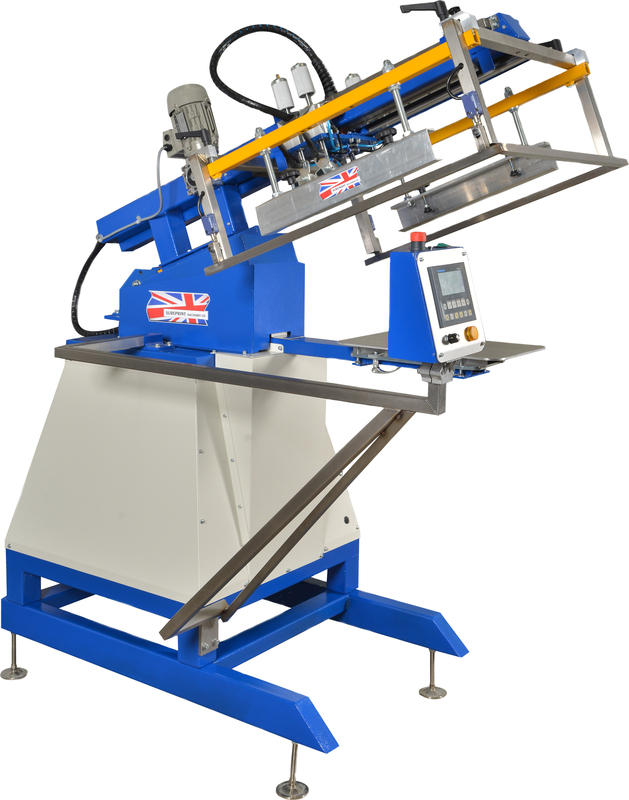 The machine has a rotating platen system to ease loading and unloading and provide the operator with a quick turntable system for printing single colour jobs. The majority of printing runs being three colour or less the machine quickly produces printed product in seconds. Each machine only requires a single operator to run the machine is single phase, plug and play and requires a nominal compressed air supply. Sureprint have developed a screen washing system which featured at Fespa, London in June. The system uses only compressed air and chemicals to wash off ink from printed screens.